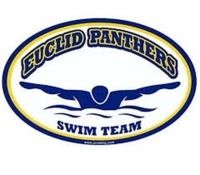 Stay Cool in the Pool this Summer with Euclid Panthers Summer Swim Team! Cool off this summer by joining the Euclid Panthers Summer Swim Team. Practices start Monday, June 4th at Euclid Memorial Pool. Register at http://www.cityofeuclid.com/recreation/Programs/PantherSwimTeam or in person at the Euclid Recreation Department. Swimmers practice is Monday-Friday 7:45-10:00AM (11 & Up) & 8:00-10:00 (10 & Unders). Evening practices are held Tuesdays and Thursdays 6:00-7:30PM. Swimmers will practice together as a team for the week and on Saturday mornings we compete against neighboring teams. The first official meet of the season is June 16, 2018 when Euclid faces South Euclid Lyndhurst at the Lyndhurst Pool. There are 8 neighboring communities in the Suburban Swim League (http://www.swimssl.com/). We will swim in head-to-head (dual or double dual) meets against six of these teams. Each meet takes place Saturday morning, at Memorial Pool if there is a home meet, or at the neighboring community pool. Swimmers usually arrive at the pool by 6:30 AM to warm up. The meets are generally over by noon. After all the dual meets are over, there is a big championship meet to end the season. It's two full days, generally beginning at 8AM and ending around 5PM. For those new to swimming, all meets start on time. Ending times may vary. For 2018, championships will be hosted by South Euclid Lyndhurst on Saturday & Sunday July 28th & 29th. The season ends with a banquet celebration on Wednesday, August 1st at the Irish American Club-East Side. As a summer swim team, this is designed to be a recreational activity. However, the swimmers do compete in weekend meets throughout the season as well as the Suburban Swim League Championships at the end of the season. Summer swim team is NOT swimming lessons. If your child is not comfortable swimming a length of the pool unassisted (25 yards), swimming with their head under water or competing, they may want to try the Ready-Set-Swim program run by the City of Euclid's Recreation Department at Memorial Pool. Swimmers must come to practice at least three times a week. We do offer evening practices but we strongly encourage swimmers to attend the morning practice. In addition, swimmers must attend a minimum of 3 meets during the summer season to be eligible to compete in championships at the end of the season. We do make accommodations for swimmers when warranted and any prior commitments or extenuating circumstances should be brought to the Head Coaches' attention as soon as possible. The swimmers do work hard, but they also have a great deal of fun. The focus of instruction will be on improving the swimmer's stroke, technique and overall fitness. This is accomplished in many ways beyond just swimming freestyle laps. Swimmers must work on all of the strokes (butterfly, backstroke, breaststroke, freestyle). 2018 Registration Available online at http://www.cityofeuclid.com/recreation/Programs/PantherSwimTeam or in person at the Euclid Recreation Department. For the 2018 swim season, the cost to register for Euclid's swim team is $60 for each child that is a resident of Euclid and $85 for each non-resident child. 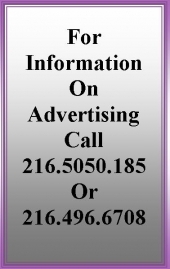 These payments go directly to the Euclid Recreation Department. In addition to registration through the city, every family must pay a $60 family fee which pays for the end of season swim banquet, swim t-shirts, parties, meet entry fees, etc. This is only $60 PER family, not per swimmer. You can register children online through the link provided above or at the Euclid Recreation Department window in Euclid City Hall. Family fees are made out to "Euclid Panthers Summer Swim Team" and brought to swim practice, not to Euclid City Hall, and are due by June 15th. IMPORTANT: To receive the resident rate you will need to bring two forms of identification such as a driver's license and utility bill to prove residency. If registering online be sure to email Program Administrator Hannah Zavorek hzavorek@cityofeuclid.com your two proofs of residency within 24 hours of registering. Once you prove your residency you will not have to provide it again until the next calendar year. Joining the Euclid Panther Summer Swim Team is a great opportunity to foster new friendships, stay fit, and develop skills for a sport that can last a life time! For more information about our team please check out our website www.euclidpanthersssl.webs.com or email us at euclidpanthersssl@gmail.com. Stay COOL and hope to see you in the POOL! Nearly a life long Euclid resident, Kris is a part-time lecturer at Cleveland State University in the Department of Health & Human Performance, a skating and yoga instructor and serves as Co-President of the Euclid Summer Swim Team Parent Board.